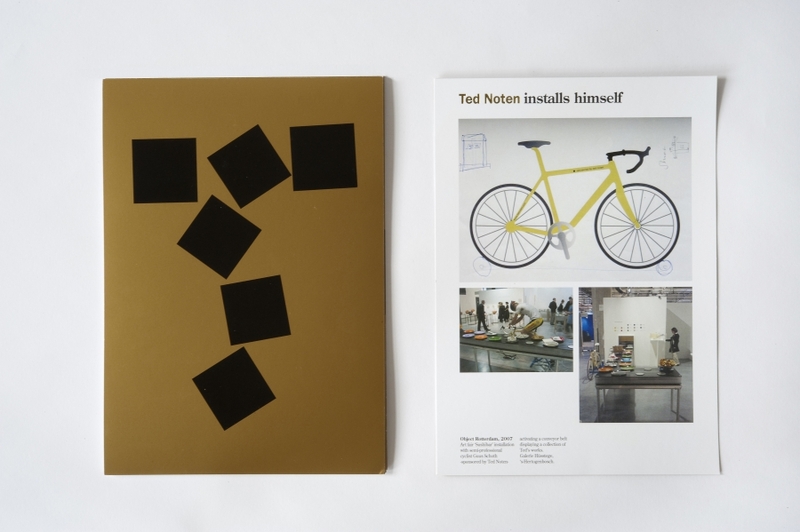 Ted Noten is a jewellery designer who loves gold. In addition to this, he is the bad boy of Dutch jewellery design. That’s why in this house style Ted’s invoice is a disgrace and his address stickers are sticky. Always in gold, of course. 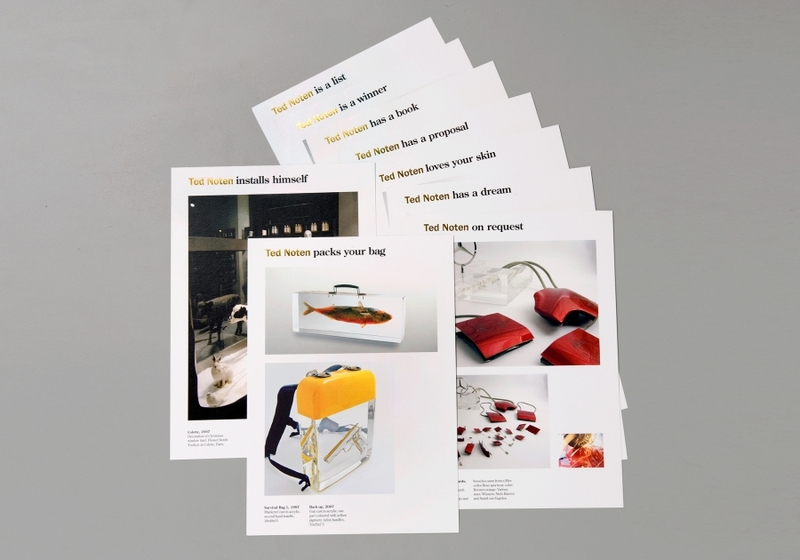 When Ted asked us to do his house style, we immediately proposed a concept for a mail piece. A box filled with everything from and about Ted Noten. 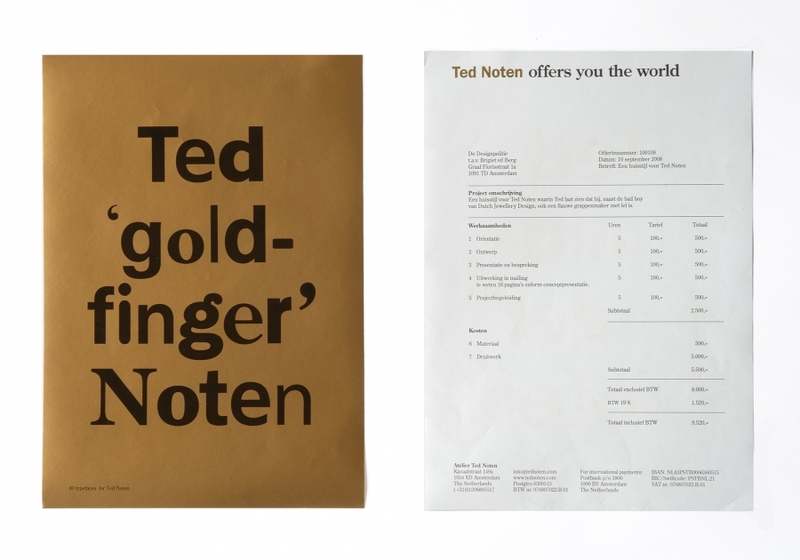 ‘Ted Noten for Eternity’ is a keepsake box that holds all your Ted Noten stuff, like his letters, his outrageous invoices, his sketches, and other paraphernalia like the ‘Ted Noten stole my virginity’ T-shirt. A true must-have!